Do you hate being tied to a particular travel brand when trying to redeem points? This rewards program gives you the freedom to travel with whichever company you like. New Travel Rewards cardholders will benefit from intro offers and a nice signup bonus which could lead to hundreds of dollars in travel credit. While most credit card companies do mile programs in which X number of miles collected represents X number of miles you can travel, the Bank of America Travel Rewards card does things a little differently. Rather than deal with accrued miles, the credit card issuer uses points that can be exchanged for credits to offset travel expenses. At the same time, the post-introductory interest rate will likely inspire cardholders to keep a low balance — meaning it could take much longer to accrue a substantial amount of points. In large part because of this, consumers and experts generally agree it's not the most generous rewards program available on the market. You can then log in to the points-redemption dashboard to check off the expenses you want to use your points toward. If your travel expenses totaled $1,000 and you've got $1,000 worth of points, you just went on a free vacation. However, realistically, it will take a long time to accrue that many points, given how the program is designed. Alternatively, points can be redeemed for gift cards and cash if you're not planning any travel. They can even be used to make a payment on a mortgage loan or contribute to an education-savings account — as long as they're either Bank of America or Merrill Lynch accounts. The spend-to-points ratio for the BankAmericard Travel credit card is diluted. For non-Bank of America banking clients, accruing points will definitely be a slow-moving process. 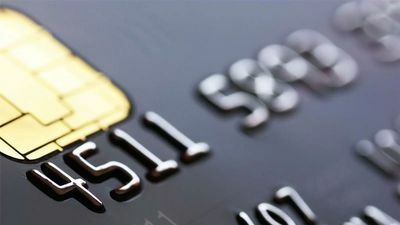 The card also doesn't provide trip-cancellation insurance, rental-car insurance, airport lounge access or any of the other common perks associated with travel-rewards cards. All told, after the sign-up bonus, the long-term benefits of the Travel Rewards card may appear weak compared to other rewards credit cards. The Bank of America Travel credit card is the travel card for people who aren’t entirely sold on traveling. Here’s what I mean, let’s say you have a lot of points. You can redeem those on costs associated with a vacation, or use them for something more practical. Most travel rewards cards come with extra perks, but in order to make the high card fees worthwhile, you have to use all of the travel perks. The Bank of America Travel credit card is more flexible. If you don’t make it to vacation this year, your points won’t be wasted and you can still apply the value. However, accruing enough points to reap vacation level rewards without carrying a balance that comes with significant interest and fees is a challenge most people aren’t likely to crack. If you aren’t sure what your spending habits are and how you use rewards, this may be a good card to get points that can be used in a variety of ways. That said, it may make more sense to inventory your spending habits and goals before applying for any card to get the most value out of it. This content is not provided by Bank Of America. Any opinions, analyses, reviews or recommendations expressed on this page are those of the author's alone, and have not been reviewed, approved or otherwise endorsed by any card issuer.